Millie made a PICollage to show what the class have been learning with Mr Hill, the PE coach. 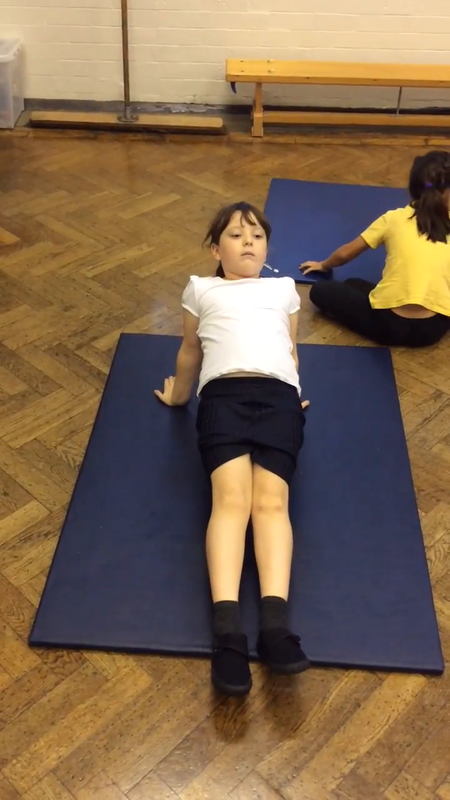 Mr Hill asked the children to come up with their own rolling games and they had some brilliant ideas. What fantastic team work and communication! We have a coach on Tuesday mornings for 4 weeks and he's teaching us FUNdamental skills. We have learned to jump from 2 feet on to 1, 1 foot onto 2 and 2 feet on to 2. He also taught us different ways to travel and how walking, jogging and sprinting are all different. Then we had the slowest race in the world! 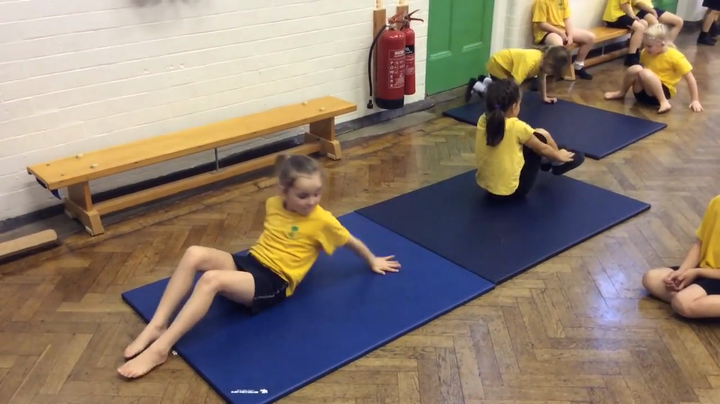 For Gymnastics this term we have been learning new balances, rolls, jumps, stretches and exploring different ways to travel. 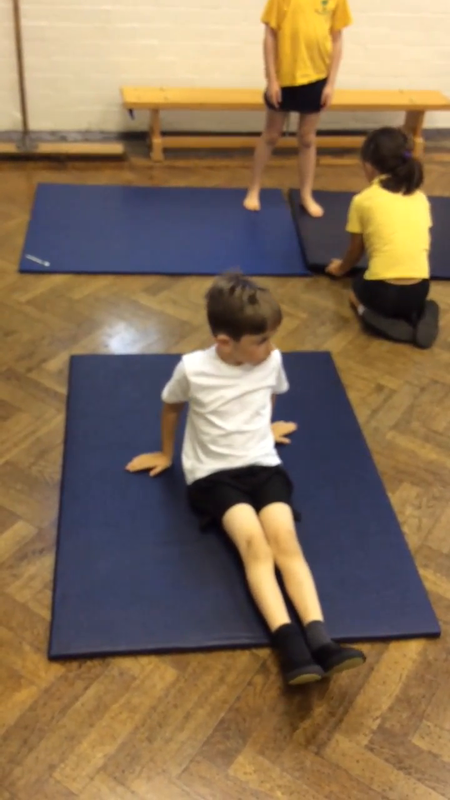 We have learned to perform some new actions (dish tuck, back support, straddle sit, front support and arch) with control. Then we put them together into a sequence and added our own actions. We thought about how to perform it smoothly. Then we watched each other's performances and commented on what they did well and how they could improve. 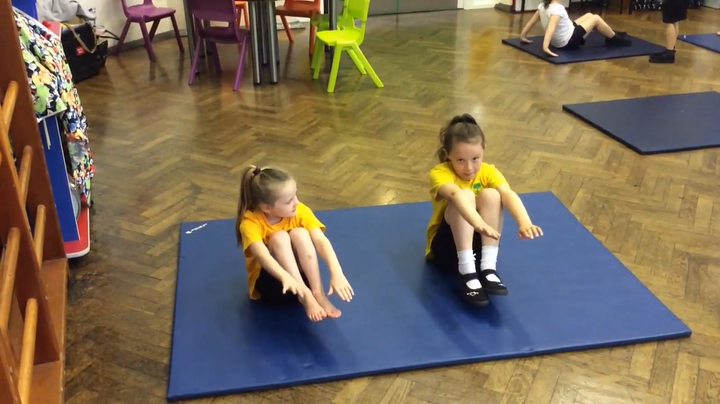 Some of us were challenged to perform the sequences in time with a partner. 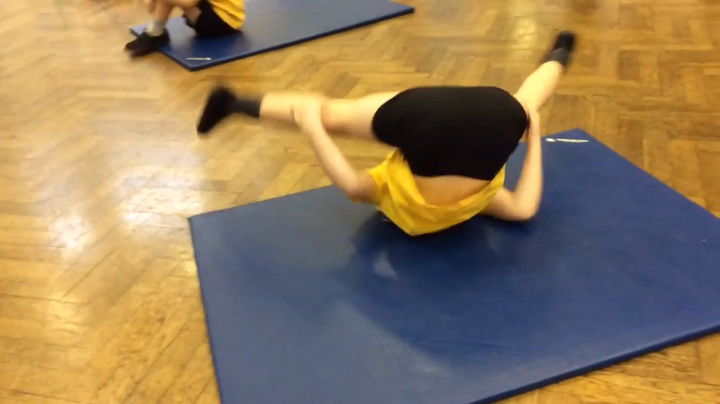 We filmed our parners performing different actions and then looked at wat we did well and how we could improve.